This article’s objective is to provide information on how to assist reducing overall janitorial cost while increasing performance when hiring a floor cleaning service. 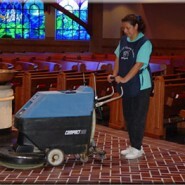 Providing the scope of janitorial work to be performed by a perspective floor cleaning service during the bidding process is critical to controlling your overall cost, eliminates gray areas of the pending contract, it protects both the commercial building owner and the floor cleaning service and makes the decision making process easier and objective rather subjective. The task of building a scope of work for a floor cleaning service to submit a bid is relatively simple. It requires knowledge of the square footage of various types of flooring such as VCT, Stone, Carpeting. It should also take into consideration other cleaning tasks including restrooms, entrance ways, trash removal, food court cleaning, etc. The above required information can be obtained several ways but the best way is to gather square footage information is to retrieve it through your construction department, building engineer, building developer, etc. Another way is to actually measure the square footage of the building and number of areas to be cleaned such as restrooms, entranceways, etc. Taking the time to perform this step will save or reduce overall cost. So it is highly recommended to perform this preparation step to achieve your janitorial cost and performance goals. The following is an example of work to be performed by a floor cleaning service but does not cover every possible cleaning task other than floor cleaning. But it does provide a real life outline of the work for the perspective floor cleaning service company to submit a bid for your business. This approach really takes all the guess work out of the equation and delivers a fair cost effective approach to the bidding process. Another consideration is hiring a floor cleaning service that is “Green”. More and more commercial facilities managers are making a decision to turn their cleaning needs to a Sustainable (Green) janitorial service provider. This is something to consider if sustainability is an important matter or an objective for the management of the corporation hiring the floor cleaning service company. This is always a common question for the commercial market. 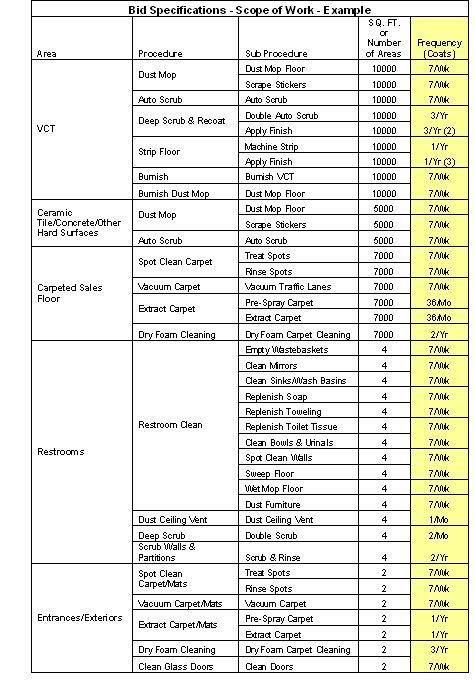 There are many ways of finding quality professional floor cleaners and the following is a concise informational list to assist in finding the right service. Remember to ask for references, referrals and a list of current businesses they are currently cleaning. Check on their references and current clients. It will be less costly in the long run. Internet: Search Engines are a great source for finding services in any given geographical area. Networking: With business associates for the commercial market and friends/neighbors for the residential market.